It really doesn't make much difference what exercises you do to increase finger dexterity for the guitar. All that matters is that you do them consistently. The way to gain strength is by repeating a similar scale or exercise over and over on a daily basis. 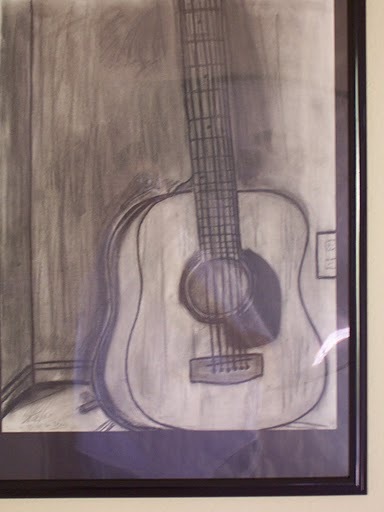 You can use very simple dexterity exercises while practicing excellent guitar technique. Do them slowly making sure you are getting clear notes and proper finger placement on the neck. As your finger dexterity improves you will want to move to a few more difficult scales that demand hand and finger stretching. A stretching routine must include dexterity exercises that will use all four fingers. For example you will want to use the standard exercise at the 3rd, 5th and 7th fret with your index, middle and pinkie finger. Start on the top string and work you way down and back up until your hand burns. Rest for a short period and do it again at least five times every day. Again work on strong guitar technique especially with your pinkie. 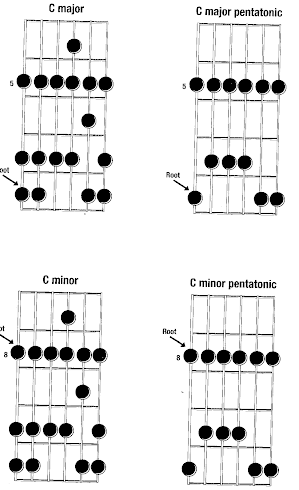 My favorite scale for warm and practice as I have mentioned before is the Natural minor scale. It incorporates all of your fingers and demands stretching in certain places. Make this a staple of your daily guitar practice and warm up. If you can do nothing else with the guitar that day make sure you run the natural minor scale a few times to keep moving forward. With in a few weeks you will see a dramatic increase in your finger dexterity by repeating these dexterity exercises as often as possible. There is no shortcut to be taken if you want to master finger dexterity exercises and develop great guitar technique. Just play and practice everyday. Check out the charts and videos for more practice tips or take the link for guitar lessons on the home page.